Pillow protectors can prolong the life of your pillow protecting it against dirt and liquids. It can also act as a barrier against allergens and bacteria. 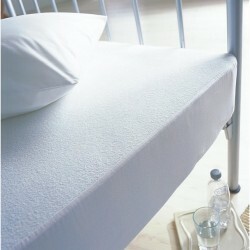 Quilted Protectors : 100% Polyester wadded fabric, giving your pillow an extra layer of protection. TENCEL Protectors : Smooth cotton like feel, 100% naturally sourced, naturally absorbs moisture and quickly releases it again, hypo allergenic, ideal fro sensitive skin. Fully zip closed 100% waterproof / breathable protector.